How Does an Electric Spark Occur? Electrostatic discharge, or ESD, is a sudden flow of electric current between two objects that have different electronic potentials. An electric spark is a type of ESD wherein there is a flow of electric current across an air gap, increasing the air temperature, which produces light and sound emission. 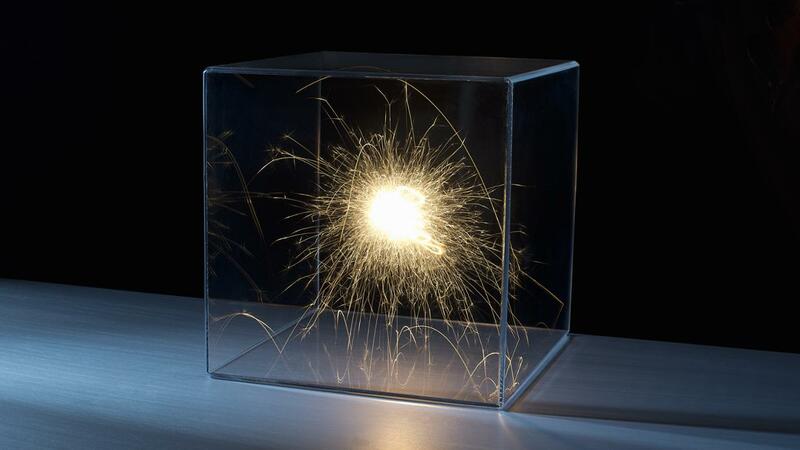 When the electric field strength exceeds the dielectric field strength in the air, there will be an increase in the number of free electrons in the air, thus the air momentarily becomes an electrical conductor through dielectric breakdown, causing an electric spark to occur. The size of the spark varies depending on the separation of the sources of electrical charges and its potential difference. Some sparks are so small that they don't cause any damage. For instance, the body builds up static electricity from rubbing dry skin onto clothing. Sometimes you can experience a short static shock when you touch a doorknob. These small sparks cannot harm you; however, if sparks occur in a fire hazard, such as gasoline, it can cause a fire and an explosion. Large sparks on the other hand also occur. The largest sparks are usually seen with lightning bolts and thunder. There are also some equipment, such as the Van de Graaf generator, used to generate sparks. This generator performs a simulation usually used in science classes. What Is a Convection Current?